The likelihood is, on first visit to Crocodile Bingo you will be swiftly hit with two confliction reaction to the design of the site. The first will be to question at one point someone decided this was the decade to base an online bingo site on the far from relevant Crocodile Dundee. The second will be to understand why they did, this is clearly a site that puts its focus firmly on having fun, and being a little bit silly, an excellent combination for a bingo site. 90 ball, 75 ball, and five-line bingo are all available here in various forms and with various jackpots to suit every taste. 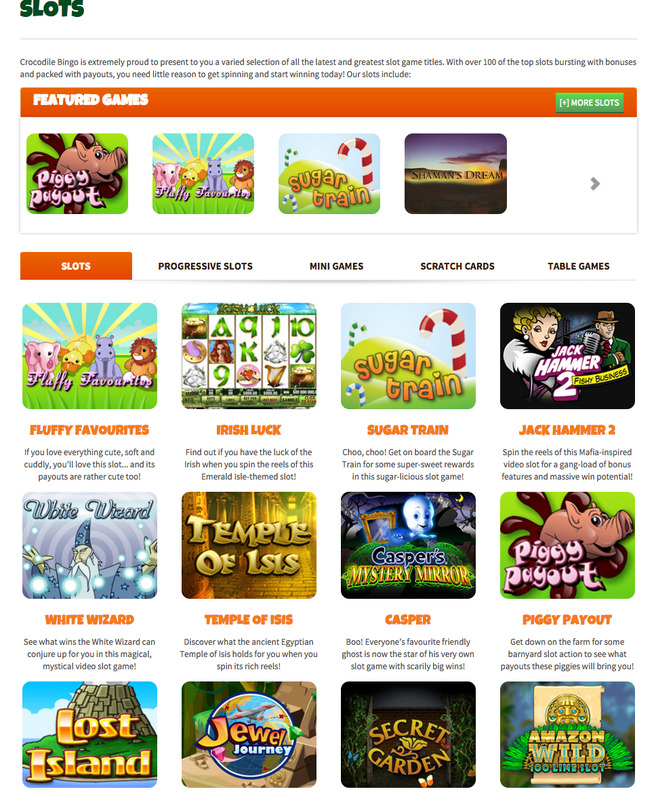 Slots fans aren’t let down either, Fluffy Favourites and Temple of Isis are among the slot games available here. Scratchcards, table and card games, and mini games round off the collection to ensure that there really is something for everybody here. Crocodile Bingo isn’t the most incredible site you will ever visit, but with a real fun vibe, as well as some very good promotions and an impressive selection of games, it is certainly one to recommend for players of all standards, from the newbie to the seasoned veteran.